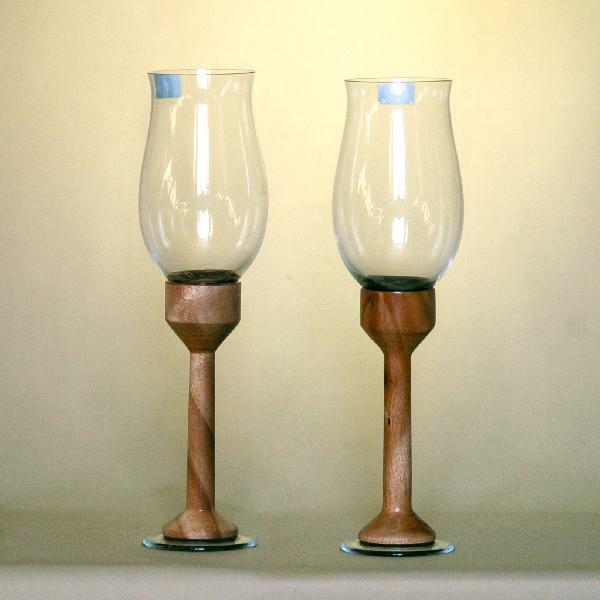 Elegant original wineglasses. Base is crafted from rare gaboon wood. The 260 ml bowl is made of Bohemian glass. A fine piece of tableware. A great gift for a wooden wedding.